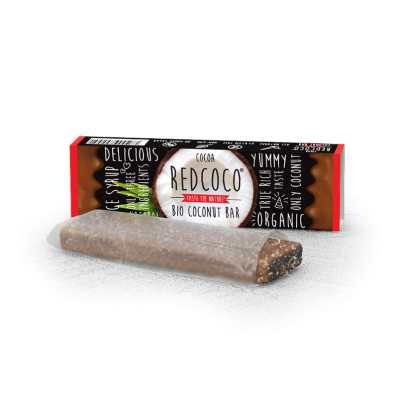 REDCOCO Organic Coconut Cocoa bar is a definite winner! 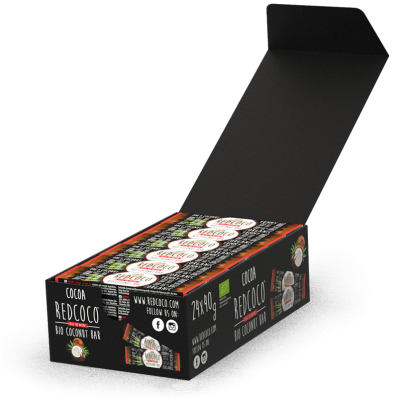 It is gluten free, sweetened only with natural sweetener – organic rice syrup, made with Organic Cacao. Tasty, filling and satisfying, you can‘t ask for more from a healthy snack bar.